I join Jason Leenaarts on his Revolutionary You! podcast to discuss the subject of aligning health goals to our values and why this is so important for the success we want to achieve. 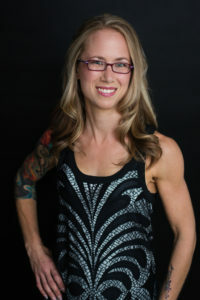 To learn more about Jason, visit www.jasonleenaarts.com. Abstract: Acceptance and Commitment Training (ACT) aims to promote wellbeing in the workplace by supporting the development of psychological flexibility. Psychological flexibility refers to noticing and accepting private events (thoughts, emotions, urges) mindfully and in a non-judgmental way, and then committing to choose goal-directed behavior that is values-aligned even in the presence of difficult situations or negative experiences. 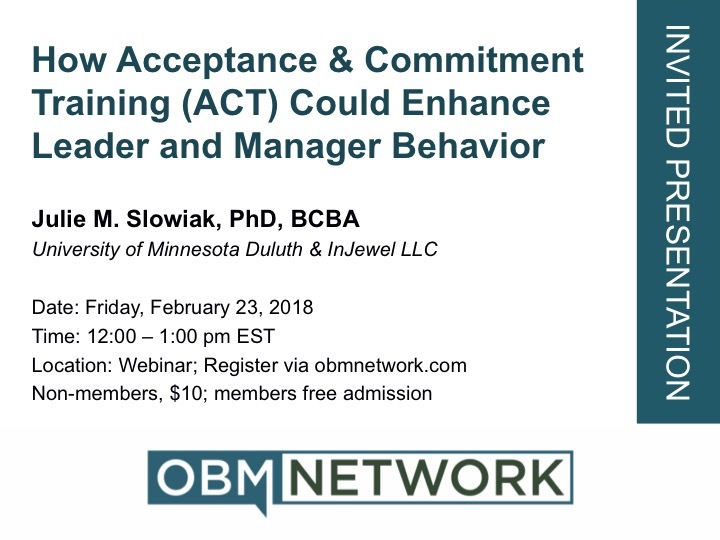 This webinar is designed to introduce attendees to ACT, review the principles of ACT and psychological flexibility, highlight relevant research on the use and effectiveness of ACT in the workplace, and discuss implications for ACT to enhance leader and manager professional development initiatives. Abstract: Successful and thriving communities must adopt a strategic and adaptable approach health and wellbeing to create a sustainable culture of health. Now, while there is an increasing focus on mental health around the globe, is the time to broaden the reach of our science to support individual health and wellbeing. As behavioral scientists and practitioners, have the knowledge to apply our science to help individuals and the communities within which they live, learn, work, and play override their “default” actions, cultivate resilience, and develop supportive environments. In particular, the corporate world presents behavioral scientists with tremendous opportunities for large-scale interventions designed to increase psychological wellbeing, fueled by demand from lost revenue that could improve the lives of millions around the world. 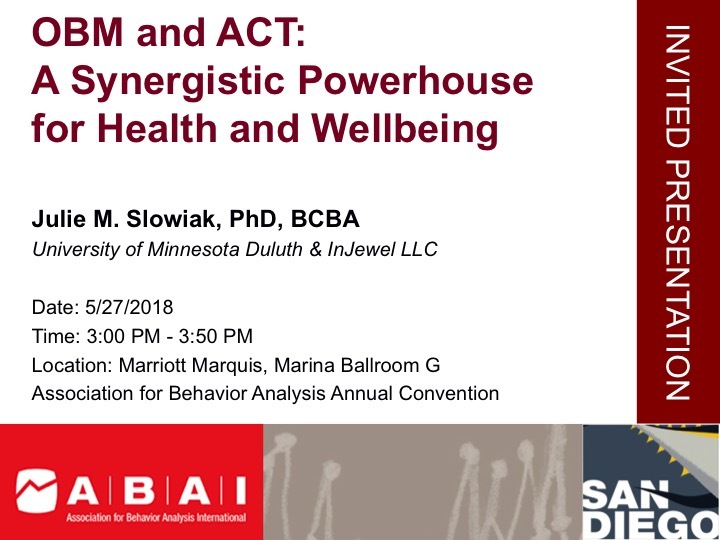 In this presentation, I will share my story and describe my experiences teaching others how to support everyday behavior and wellbeing using behavioral science. I will also share how my self-study in the area of Acceptance and Commitment Training (ACT), along with my background in Organizational Behavior Management (OBM), has enhanced my own life and has provided me with knowledge, skills, and tools to be a more effective teacher, coach, and consultant. Finally, I will share insights about the struggles I have encountered as an entrepreneur while conveying our science to those outside the field and how collaboration with other professionals is a key component to transforming culture on a large scale. Description: Applications in health, fitness, and wellness are ripe for behavior analysts. However, many barriers exist that must be overcome when expanding our science into health and fitness. 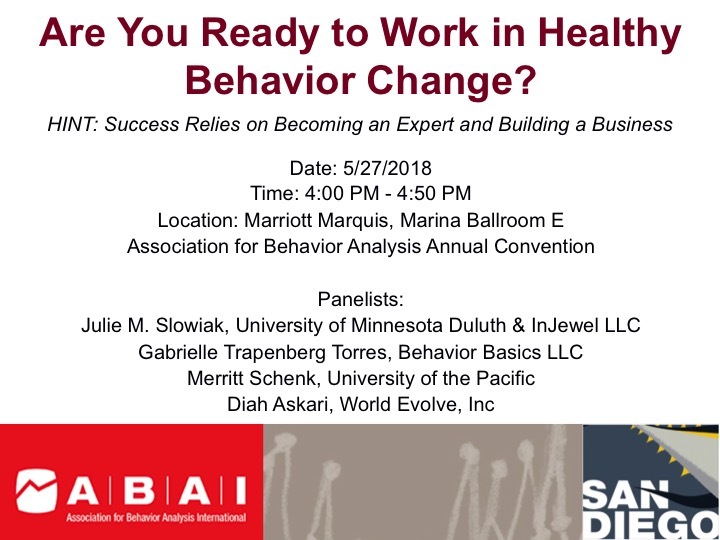 This panel will address common issues that behavior analysts must overcome to have success such as building expertise, recognizing business opportunities, and creating value for others.